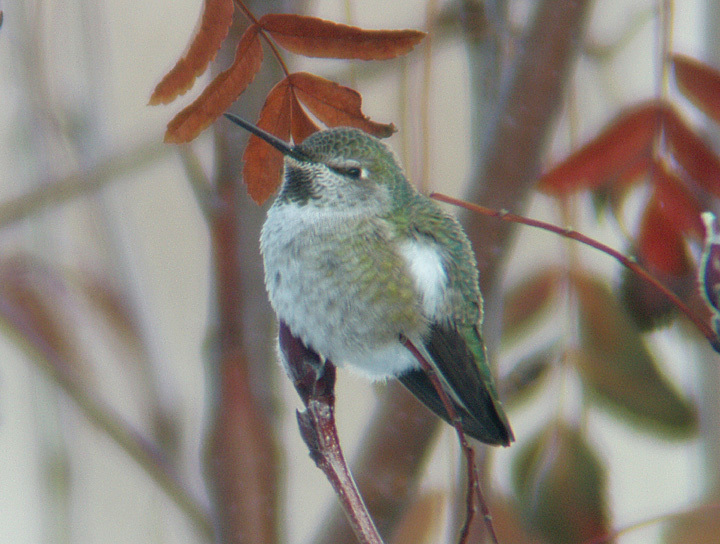 Adult female Anna's Hummingbird at a house in Cowiche Canyon on the northwest side of Yakima, WA. Dec. 10, 2005. Digiscoped.